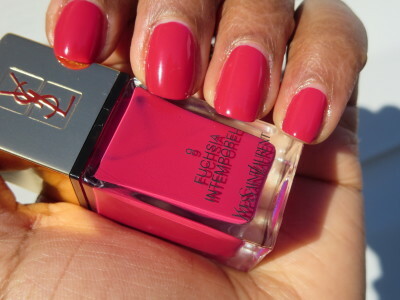 I picked up this pretty polish from Nordstrom for the Chopping Block #11 recently. It’s a great fuchsia and I couldn’t resist getting it. 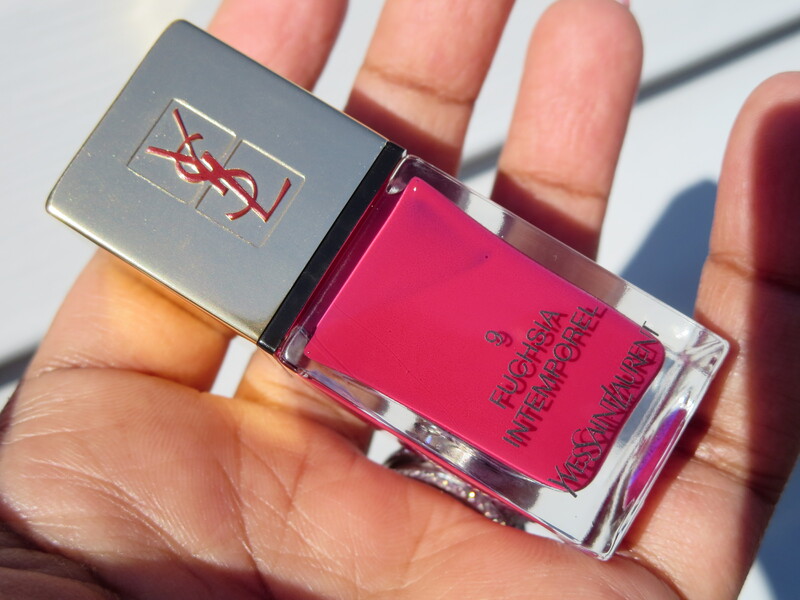 It’s been a while since I’ve purchased a YSL polish. This is my first bottle in the new packaging. I’ve been eyeing different shades that have come out but this time I made my move! I used a base coat, two coats of Fuchsia Intemporel, and a top coat. The manicure turned out beautifully. 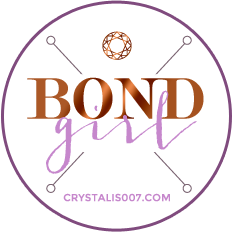 I can say that the formula is just as amazing as it was before and I love the packaging change up. It’s nice to have the name of the color right there on the front of the bottle. Lets take a look at more pics! I love this shade. It’s a much deeper and cooler fuchsia instead of the brighter ones that I’ve favored for most of my life. After six days I only noticed very minor tip wear. 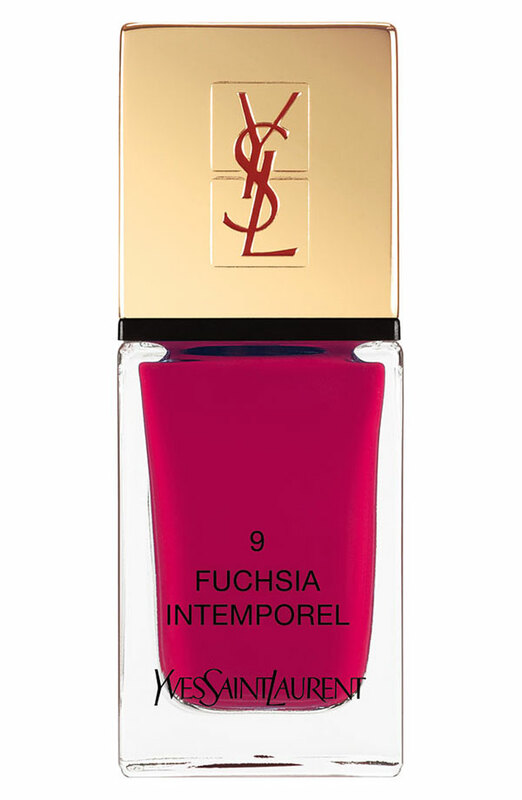 Check this out if your looking for a luxury polish that will take you from Winter into Spring! I’m glad its a pretty one!